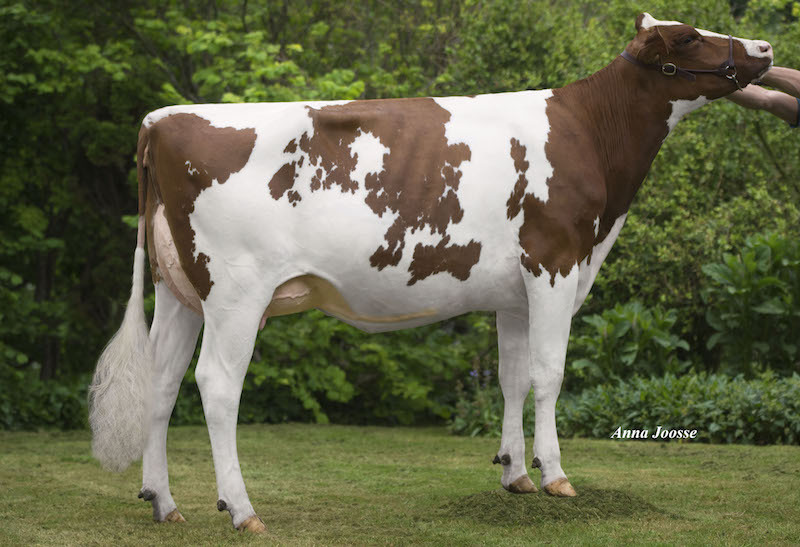 Dam: R DG Adalyn-Red VG-87-NL 2yr. 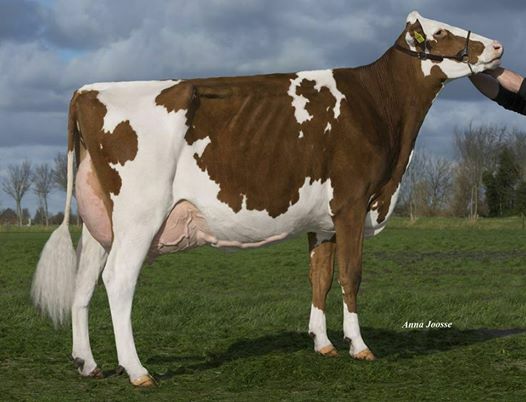 | Full sister to R DG ALLADDIN-Red @ Cogent - VG-87-NL 2yr. 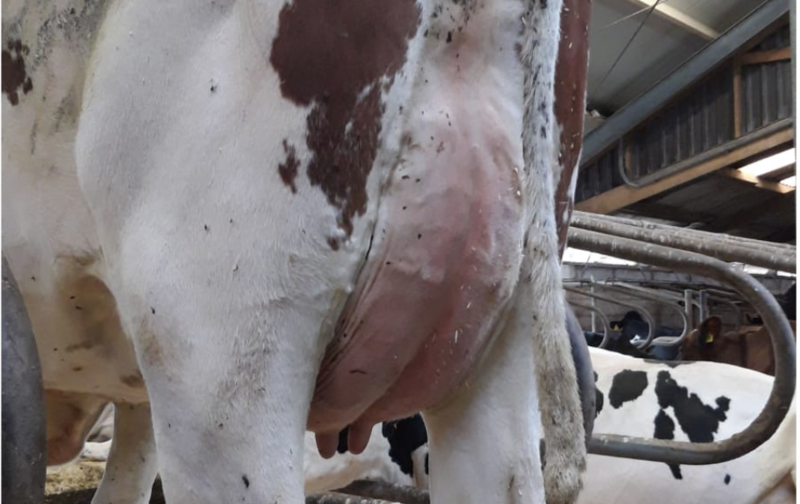 Dam: R DG Avira Red-ET VG-85-NL 2yr. BTS-Avea Red VG-87-NL VG-89-MS 2yr. Full sister to R DG ALADDIN @ Cogent - PLI +615 / ISET +1585!! 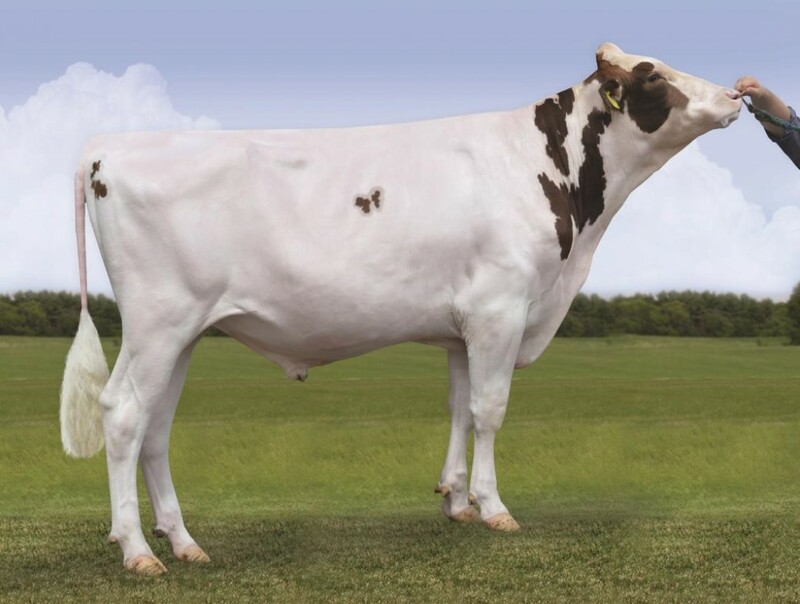 Great donor, already scored VG-87 2yr. and 4.0% PROTEIN!!!!! 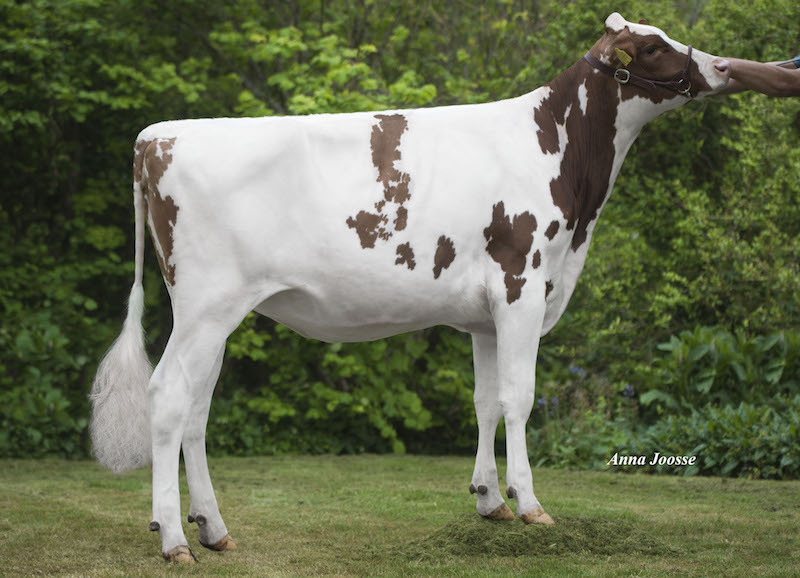 Former top 5 GTPI R&W Heifer in Europe! Huge R&W sons in AI for GTPI and RZG! Maximum score in her 2nd lactation!